On Saturday we celebrate the great solemnity of All Saints. What do we celebrate? First, we celebrate hidden saints, and the distinction between a public life and a hidden one. After their founder, St. Bruno, the Carthusians hermits don’t have canonized saints. That is not because there are no Carthusian saints in heaven. 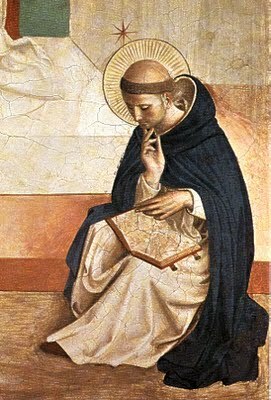 To the contrary, we can assume that their intense life of prayer, their uniquely total consecration to Christ, has produced thousands of saints. But it is the nature of some vocations to be hidden. In the same way, Catholic motherhood is a pretty intense school of sanctity. But it’s the nature of motherhood – in fact, it’s part of the holiness of motherhood – that most of its work goes unnoticed, given over as it is only to children who mostly aren’t paying attention. The same is true of the poor, including the homeless, those who suffer mental illness, menial laborers, and the abused. These are all paths to holiness, straight ways, like the Carthusian vocation, to heaven, for those who embrace them. But they are paths to holiness precisely because they are ways of being forgotten, of learning to find all our identity in Christ, and not in human glory. Most of the canonized saints are powerful (kings and queens) and public (popes, bishops, and members of religious orders). The reason for that is not that these are the unique ways to sanctity – if anything, power is a hindrance. Rather, it is because the sanctity of these figures is seen. One of my favorite sections of Vatican II is Lumen Gentium’s section on Religious Life, which emphasizes that the difference is not that they are more holy, but that they wear their holiness on their sleeves, so as to remind all to be holy. 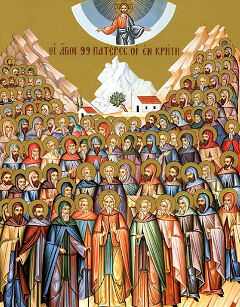 On All Saints, remember that holiness goes beyond those who are seen, to a countless gathering of unseen saints. An interesting corollary: we do not celebrate a feast of “all are saints” – just as Vatican II’s teaching on the “universal call to holiness” is not a teaching on “universal holiness.” We celebrate All Saints to remind us that all are not saints: but many of the saints go unnoticed. What a lovely devotion: to the unnoticed and unnamed saints. A second way of looking at All Saints is the diversity of the saints. Each saint deserves his own look as an individual, and so we give them separate days, separate opportunities to glance at their specialness. But now and then – at least once a year – we do well to put them side by side, just to notice who spectacularly different they are. John Paul II, Padre Pio, and Mother Teresa: alike in their total devotion to Jesus, alike in many respects. But what different ways of sanctity. What different ways of carrying the cross. What different ways of embracing the poverty of Jesus. What different ways of giving their life to the Church. And these are three saints from one century, and they are all from Catholic parts of Europe. Add in Elizabeth Ann Seton, the North American Martyrs, Kateri Tekakwitha, and John Neumann. They only span three states – Maryland, Pennsylvania, and New York. But what different flavors of sanctity! All Saints is a reminder to us, not only that we are called to be holy though we may never be noticed, but also that we are called to the holiness of our particular state in life. I am not called to be a holy Jesuit missionary, nor a holy Mohawk-Algonquin Indian. I am called to live the love of Christ in all the particularities of my own vocation. Finally, All Saints calls us to envision the heavenly city, where this great diversity of saints stand shoulder to shoulder in praise of the Lamb. This is the truest image and exemplar for the communion of the Church. It is a communion, first of all, in love of Christ. Like the saints in the heavenly Jerusalem, the Church is not bound together by sociology or by programs. They are bound together because they are bound to Christ. It is a communion in sanctity. The saints are fabulously diverse, but as they stand together before the throne, they are instantly recognizable to one another, all living the same consecration in all their myriad ways. And it is a communion of friendship, loving one another with the passion that comes from the love of Christ. That is what the Church is meant to be. All Saints is the ultimate image of the Church. How does your vocation call you to a holiness distinct from the other saints? Part Three turns us as missionary disciples back to the world in which we live: “The Life of Jesus Christ for Our Peoples.” Aparecida is constantly focused on keeping the faith real. This is not an abstraction lived in private, but the reality of human life, lived out in all the aspects of our life. To be missionary is not a marginal aspect of faith. It is where faith is proved, where we show that we really believe it. And to believe that Christ is truly life for us is to believe that he is life for all men. Remember that the first chapter of “The Life of Jesus Christ in Missionary Disciples” – the life of Christ in us – considered all the ways in which Christ is Good News. He is not just one part of life. All that is human finds its perfection in Christ: that chapter had sections on human dignity, life, the family, work, science, material goods, even ecology. It called for Latin America to be a “the continent of hope and love.” A truly Christian society is one permeated by the goodness of Christ, in every aspect. These chapters work out in concentric circles. The first gives the principles, summarized in the word “life.” The Church is pro-life. That means, of course, first of all that we are opposed to anything that is directly contrary to life: murder in all its forms, including the insidious murder of unborn children. But, as John Paul II explains in his magnificent encyclical Evangelium Vitae, “The Gospel of Life,” we are opposed to murder because we embrace the goodness of human life. Life is worth living. Human life is a good because life itself is good. Consider, for example, how one could say, “our joy is in heaven, so it doesn’t really matter if life is terminated.” Ah, but it does matter, because heaven is not opposed to our natural life, it is its fulfillment. We would have a wrong vision of heaven if we thought that it meant the goodness of human life doesn’t matter. And we would have a wrong vision of Christ. 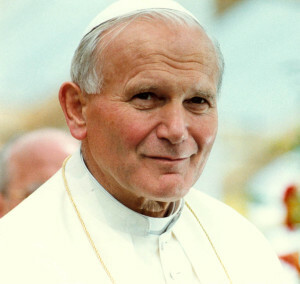 John Paul II’s first encyclical focused on Christ as Redemptor Hominis: the redeemer of man. He said the theme of his pontificate would be, “the way of the Church is man.” All that is authentically human belongs to Christ, and is fulfilled in Christ. Christ is “at the service of full life,” as Aparecida puts it – and so too are we. Thus the first chapter of specifics focuses on “human dignity,” and the good of the individual. Any vision that treats human individuals as not mattering is an anti-Christian vision. Anti-Christ, we can even say: a denial that Jesus is the fulfillment of man, the savior of every man, the lover of man. 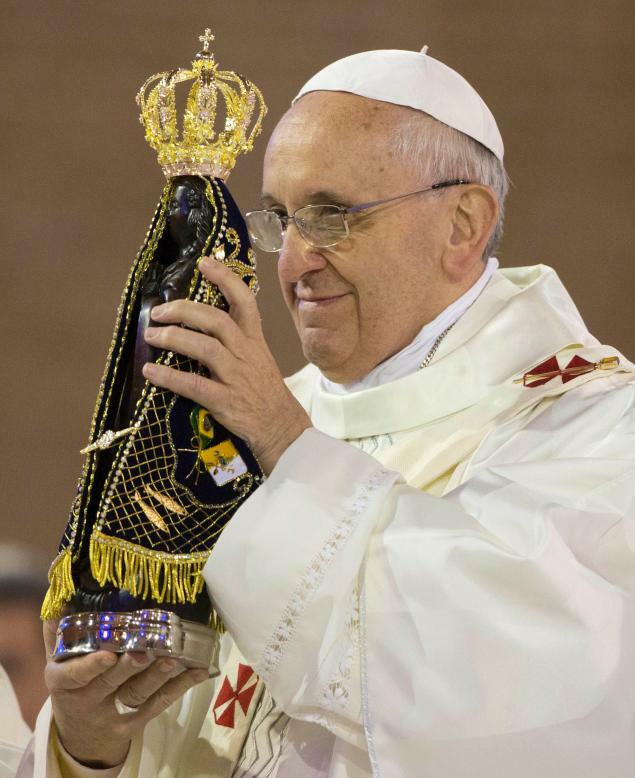 Here Aparecida will treat the “preferential option for the poor and excluded,” and look at “suffering faces that pain us”: street people, migrants, the sick, the addicted, and the imprisoned. Jesus says what we do to these, we do to him. As Archbishop Chaput often puts it, if we do not love them, Jesus is very clear: “we will go to Hell.” Christians care about every individual. But we care, too, about human community, where individuals flourish, and so the next chapter is on “family,” considering the many relationships that make up a truly human life: children, adolescents, the elderly, men and women, and our relationship to the land itself. The last chapter extends this out to its final culmination: “our peoples and culture.” He who embraces the fullness of human life, and who believes Christ is the fulfillment of human life, believes that Christ is the answer to the biggest questions of politics and culture. The true missionary disciple – the true believer – takes his faith even there. When elements of life do you think too few Christians see in connection with the goodness of Christ? Too little known is John Paul II’s spiritual testimony Novo Millennio Ineunte, “At the Close of the Great Jubilee Year 2000.” As we begin the new millennium, said the great Pope, above all we must “contemplate the face of Christ.” And he explains why. The quotation below nicely frames this in terms of evangelization, a nice contact with the Aparecida document. We often hear of how people today want “spirituality, but not religion.” We can approach that phenomenon with scolding. But John Paul approaches it with evangelization. They want spirituality? We have that! And we have it more deeply, because we can enter into the journey “totally sustained by grace”: Christ graces us new depths of spirituality. And schools, finally, that by teaching us to fall in love with Christ teach us also the true meaning of falling in love with our neighbor. Is it not one of the “signs of the times” that in today’s world, despite widespread secularization, there is a widespread demand for spirituality, a demand which expresses itself in large part as a renewed need for prayer? Other religions, which are now widely present in ancient Christian lands, offer their own responses to this need, and sometimes they do so in appealing ways. But we who have received the grace of believing in Christ, the revealer of the Father and the Saviour of the world, have a duty to show to what depths the relationship with Christ can lead. The great mystical tradition of the Church of both East and West has much to say in this regard. It shows how prayer can progress, as a genuine dialogue of love, to the point of rendering the person wholly possessed by the divine Beloved, vibrating at the Spirit’s touch, resting filially within the Father’s heart. This is the lived experience of Christ’s promise: “He who loves me will be loved by my Father, and I will love him and manifest myself to him” (Jn 14:21). It is a journey totally sustained by grace, which nonetheless demands an intense spiritual commitment and is no stranger to painful purifications (the “dark night”). But it leads, in various possible ways, to the ineffable joy experienced by the mystics as “nuptial union”. How can we forget here, among the many shining examples, the teachings of Saint John of the Cross and Saint Teresa of Avila? Yes, dear brothers and sisters, our Christian communities must become genuine “schools” of prayer, where the meeting with Christ is expressed not just in imploring help but also in thanksgiving, praise, adoration, contemplation, listening and ardent devotion, until the heart truly “falls in love”. Intense prayer, yes, but it does not distract us from our commitment to history: by opening our heart to the love of God it also opens it to the love of our brothers and sisters, and makes us capable of shaping history according to God’s plan. What “Christian communities” are you part of? How could they become better “schools of prayer”? “Teacher, which commandment of the law is the greatest?” a scholar of the Law asks Jesus in this Sunday’s readings. As frequently happens, the readings are familiar, but the Lectionary helps us to see that they are richer than we might have realized. This week’s readings help us to see how God’s mercy for us should express itself in our mercy toward others. But then comes something a little surprising, “The second is like it . . . .” How is the commandment to love our neighbors as ourselves “like” the commandment to love God? They are both about love, yes. But in fact, our neighbor is not loveable as God is – Jesus himself acknowledges this by giving radically different standards for how much we love God and neighbor. Only God is worth loving with all our heart, and soul, and mind. A second strangeness takes us deeper: “The whole law and the prophets depend on these two commandments.” Remember, it is a scholar of the Law – the Old Testament Law – who is asking him this question. In my experience, most people do not consider the Old Testament to be all about love. To understand Jesus’s teaching, we need to read the texts to which he directs us. The first reading is from the second half of Exodus. The first half of Exodus is the exciting part, with plagues and pharoahs and the Passover and the Ten Commandments. But most people stop reading there: after the Ten Commandments comes endless law-giving, all the way through Leviticus. The next book, Numbers, gives some stories, but then comes Deuteronomy, which literally means “second law” – or “more laws!” The stereotype is that this is all pretty awful stuff; my students tell me they think it’s all about stoning people. It turns out that all this law giving is about mercy, mercy, mercy. What is hardest about the Law of the Old Testament is that it tells us to care for the poor, the weak, and the outcast. Oh, it is violent too: “If ever you wrong them and they cry out to me,” God tells them, “. . . My wrath will flare up, and I will kill you with the sword.” Yikes! But it is violent only in demanding that we be merciful. The Psalm response says, “I love you, Lord, my strength.” The heart of the teaching is that those who have received mercy should be merciful – and we all rely on God’s mercy. If God had not loved us, undeservedly, we would not have the opportunity to abandon the weak – or even to pass over the undeserving. We are called to express mercy (to love our neighbor as ourselves) as a way of acknowledging God’s mercy toward us (and thus loving him above all things). The reading from 1 Thessalonians reminds us that this is how we give witness to God’s mercy toward us. First, they were in affliction, but discovered the Holy Spirit as their joy. God has saved them, been mercy to them, and strength. But in receiving that mercy, they imitate those who received mercy before them, and become models to those after them. Our readings calls us to discover God’s mercy in our lives. In showing that mercy to others, we both pass on the Gospel of his love and give him the thanks he deserves. Think of someone who doesn’t deserve your mercy. Can you think of specific ways that God has already been merciful to you in just the same way you are called to be merciful to them? To continue our October meditations on the rosary, let us consider what we can learn about it from a devotion that arose around the same time, Our Lady of Mount Carmel. At least in our part of the world (northeastern New Jersey), there are a lot of churches dedicated to Our Lady of Mount Carmel, including my family’s parish. The simplest reason for that is historical. Emigrants from Italy typically boarded ship at Naples (the biggest city in the southwest of Italy). There is a Carmelite monastery and church right on the bay in Naples, with a couple popular images and a tower that can easily be seen as emigrants left the old country behind. With the fear of the journey, many vows were made to this last image of home. 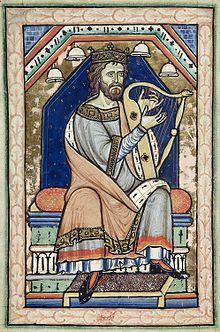 In the same thirteenth century (“greatest of centuries”!) a kind of third order arose by which lay people associated themselves with the total consecration of life exemplified by the religious orders. Part of this association was to wear some version of the order’s habits; the small scapular seems to have been one of the thirteenth century approaches. 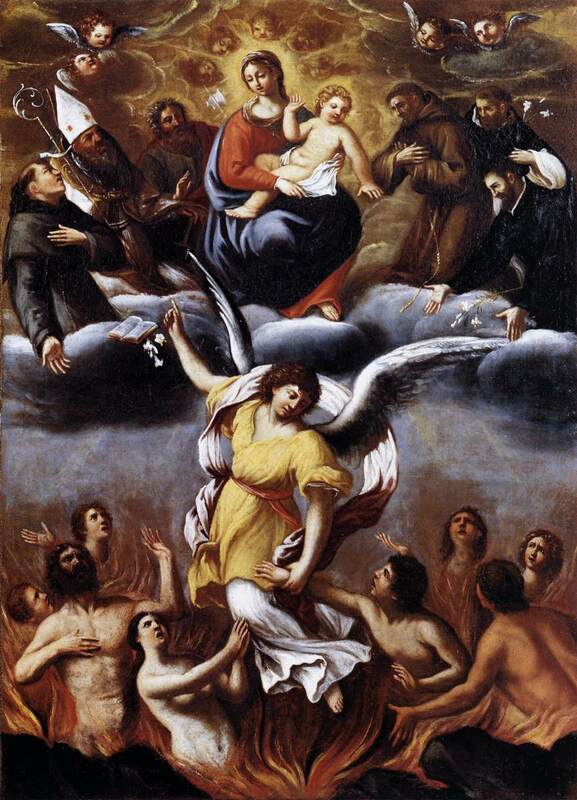 So Our Lady of Mount Carmel also stands for that scapular, given to the religious orders, and then taken on by the laity. 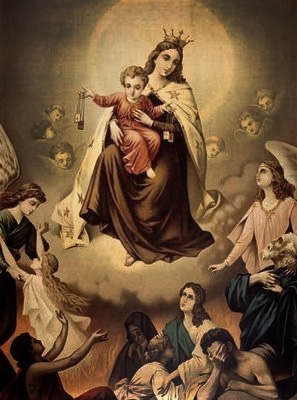 Just as many images of Mary have her handing the rosary to the people, so too does the image of Our Lady of Mount Carmel show her handing the small brown scapular to the people. But to understand this parallel, we need to go a step further back into the history of Our Lady of Mount Carmel. Mount Carmel is a range of mountains, stretching from the Mediterranean Sea sort of east-southeast towards Nazareth, in Galilee in the north of Israel. It is a few miles south of Acre, one of the main fortresses and mostly the capital of the Crusaders in the twelfth and thirteenth centuries. At their best (and they were often not at their best), the Crusades were about pilgrimage. Along the road, pilgrimage is a kind of penitence or repentance, putting one foot in front of the other to signal a turning of one’s whole life toward the Lord. The destination of a pilgrimage signals some connection to Christ’s coming into the world; true penitence turns us toward Christ. That was, of course, most powerfully evident in the pilgrimage to the Holy Land. And so some of the soldiers and pilgrims settled down to live a life of conversion and union with the Incarnate Lord. Mount Carmel became a central location for this. It was the place of the holy hermit Elijah, and of a great tradition after him. It was relatively safe, because close to Acre. But it was also in the land of Jesus’s home, close to Nazareth. The Carmelite order began, then, as hermits gathered on Mount Carmel, around a central cave-chapel dedicated, as appropriate for something so close to Nazareth, to the Mother of God: they were the hermits of the chapel of Our Lady of Mount Carmel. Their habit was a sign of their consecration; their outer garment, their apron or scapular, was a sign of preserving their habit, and their consecration, spotless. In the image of Our Lady of Mount Carmel, she wears the habit of Carmel. The connection points both ways. She enters into the consecration of the Carmelites, and they enter into hers. Her habit shows that the true meaning of their consecration is to live in perfect devotion to the mystery of Christ Incarnate. She holds the small scapular out to us as an invitation to join in our consecration. So too she holds out to the rosary as an invitation to join in her consecration. Like the habit of Carmel, it is meant not just as an external, not an occasional practice, but a total conversion of life, by entering into the intense spirituality and union that is Our Lady’s consecration to Jesus. How could you better enter into Mary’s consecration to Jesus? The following quote makes an interesting argument, moving from one point to another in perhaps an unexpected way. The first point is specifically about Latin American culture. When the Gospel came to the Indians, it did not hurt their culture, it liberated it. By itself that is perhaps a happy, pat-ourselves-on-the-back Catholic triumph. But Aparecida draws an important conclusion about culture in general. Today there is a great concern, including among some Catholics, to rediscover cultural particularity: a sense of place, a distinct way of life, artistic traditions, etc. The quotation below simply argues that this need not be opposed to the universality of the Church, of truth, and of the Gospel. The best way to really live local culture is to set it free through encounter with the truth who is Christ, and the universality which is the global Church. Two other conclusions: first, within the truth of Christ – not outside it – we discover the true place of dialogue, of appreciating and affirming legitimate differences. I, an Anglo-American, can appreciate the best in Latin American, African, or Asian culture precisely through our contact in the Truth which is Christ. And second, Christ is the truth. If you really want truth, if you really want culture, seek ye first his face, his kingdom, his righteousness. Don’t start with culture; find culture in Christ. The proclamation of Jesus and of his Gospel did not at any point involve an alienation of the pre-Columbian cultures, nor was it the imposition of a foreign culture. Authentic cultures are not closed in upon themselves, nor are they set in stone at a particular point in history, but they are open, or better still, they are seeking an encounter with other cultures, hoping to reach universality through encounter and dialogue with other ways of life and with elements that can lead to a new synthesis, in which the diversity of expressions is always respected as well as the diversity of their particular cultural embodiment. Ultimately, it is only the truth that can bring unity, and the proof of this is love. That is why Christ, being in truth the incarnate Logos, “love to the end”, is not alien to any culture, nor to any person; on the contrary, the response that he seeks in the heart of cultures is what gives them their ultimate identity, uniting humanity and at the same time respecting the wealth of diversity, opening people everywhere to growth in genuine humanity, in authentic progress. Sunday’s readings teach us about God’s Providence, both in the external world and in the internal. The reading from the Gospel is “Repay to Caesar what is Caesar’s.” The story is familiar enough, but the teaching is subtle. On first glance we might take it for a kind of dualism. There’s a principle (contradicted by Thomas and the Catechism) that sees government and God as two unrelated principles. You have your obligations to God, and your relationship to God – and you live that out dealing with the practical realities of the State. But God really doesn’t care what you do with the State (says this incorrect reading). If you get penalized, you get penalized. Speeding tickets are just the price you pay. It has nothing to do with God. There are various ways to respond to this, but let’s stick to the readings. The last word is key. The Pharisees think they have him trapped between two opposing parties. Either he will take the side of Herod (by paying the tax) and violate their religious principles, or he will take the side of the Pharisees (by refusing to pay the tax) and go against the secular king. Either way, the party he offends will have grounds for prosecution. Clever. Jesus’s answer, by itself, simply dodges. By itself, he doesn’t fully answer what paying our taxes has to do with God. But the first reading, from Isaiah, does. “Thus says the LORD to his anointed, Cyrus, whose right hand I grasp.” Cyrus is the king of Babylon and Persia. He is not an Israelite, not a believer, not one of God’s people. He does end up helping them, but let us not miss the strangeness of calling this king God’s anointed – literally, his Messiah, or Christ, though we needn’t confuse the matter too much. And in Romans 13 (a text quoted by Thomas and the Catechism when they teach that secular law obliges us in conscience, unless it is an inherently wicked law), it says, “there is no authority except from God, and those that exist have been instituted by God. Therefore whoever resists the authorities resists what God has appointed” (13:1-2). We’re talking about the Roman Emperors here, the ones who killed Jesus, Peter, and Paul. Our reading from Isaiah says to the foreign king, “I have called you by your name, giving you a title, though you knew me not. . . . It is I who arm you, though you know me not.” God is in control, even of those who do not know him. When Romans 8 says, “for those who love God all things work together for good,” it means also that God is truly in control, even of those who hurt us. Caesar is God’s. And we too are God’s. In our reading from First Thessalonians, Paul says, “We give thanks to God always for all of you.” But why? Why does he thank God for what they do? Shouldn’t he just thank them? He is “unceasingly calling to mind your work of faith and labor of love and endurance in hope of our Lord Jesus Christ.” But isn’t that really their work, not God’s? All things are in God’s hands. How that works is a mystery beyond this post(!!). But when we are hurt, let us never forget that God is working through that. And when we are good, and see good, let us give thanks to God for all his gifts. Are there forces in your life that you could better appreciate if you saw God’s hand in them? There are many ways to pray the Hail Mary well, but notice that it is particularly useful in meditating on the virtues. Hail Mary: the greeting means health, happiness, good news. We can approach it as an immediate entry into the transformation God has worked in her. Hello, oh virtuous one! How fortunate you are to be good! Full of grace: in Catholic theology, grace is the effect of God’s work on us. In one direction, this greeting reminds us, immediately, that Mary’s virtues are a gift from Christ. In the other direction, they remind us that Christ really does give her gifts, really does fill her with his graces, to make her good. The Lord is with thee: this says almost the same thing, but in reverse. Her virtue comes from her nearness to Christ. But it also exists for his presence: he makes her good so that she can meet him, so that she can fully embrace his presence. Blessed art thou among women: in her own vocation, as a woman, in her own humanity, how fortunate she is – to be good, filled with Christ’s grace, so that she can encounter Christ in all the mysteries of the rosary. And blessed is the fruit of thy womb, Jesus: oh, and how good he is! How her virtues mirror his, and his virtues mirror hers – he who comes to share in her nature, to be so close to her that he can have human virtues, and she can have divine ones. Holy Mary: the truest definition of her virtue is holiness. What a prayer these two words are in themselves: just to ponder the holiness of Mary. And again, holiness is defined as a gift from God, really changing her, so that she returns to God. Mother of God: the second half of the prayer makes a turn, from simply meditating on Mary’s virtues, to begging her to pray for us. And so we invoke her power, the strange relationship that allows her, with the audacity of Cana, to beg Jesus to act. But it is the audacity of cheek-to-cheek: she is not God’s boss, but rather the one he has chosen to let hold him in her arms. Pray for us sinners: we ask her to pray precisely in relation to our non-holiness, our lack of virtue. You have it, Mary – pray for us who don’t! Now and at the hour of our death: in all of our needs. Looking forward to our death, we realize how deeply we need to be transformed, to be like Mary, so that we can cling to Jesus even in the hardest times. 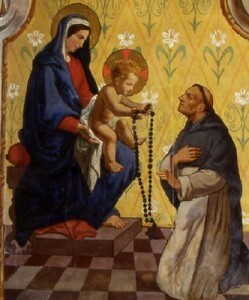 Each mystery of the rosary gives us an encounter between Mary and Jesus. They are not all really meditations on Jesus himself: in the first two and the last two, at least, he is kind of hard to see. But neither are they mysteries of Mary alone. She is not even present for many of the luminous and sorrowful mysteries, and Mary’s whole life is defined by relation to Jesus. If we separate her from him, we lose everything. At the end of the Paradise, Dante sees the Trinity in the eyes of Mary. In the rosary we see Jesus in the eyes of Mary. We see the gaze, the union, the connection: him living for her, and her living for him. This comes especially alive if we meditate on the virtues. Each mystery makes tremendous demands of Mary. Each mystery, in fact, demands all the virtues: that she figure out how to live (prudence), leave behind pleasure (temperance), fulfill her human obligations (justice), believe the unthinkable truths of God (faith), trust in his strength (hope), and love. Each mystery gives us an opportunity to see what every virtue looks like in its fullest development: in the encounter with Christ. But so too each mystery lets us see those virtues radiate out from Christ himself. At the Cross Christ demands the ultimate fortitude from his mother – and from his Sacred Heart it radiates to her, so that she stands with his strength. These encounters with Christ that are the mysteries of the rosary show us what it means for Christ to give us the strength to meet him. What virtues do you find in the mysteries of the rosary?